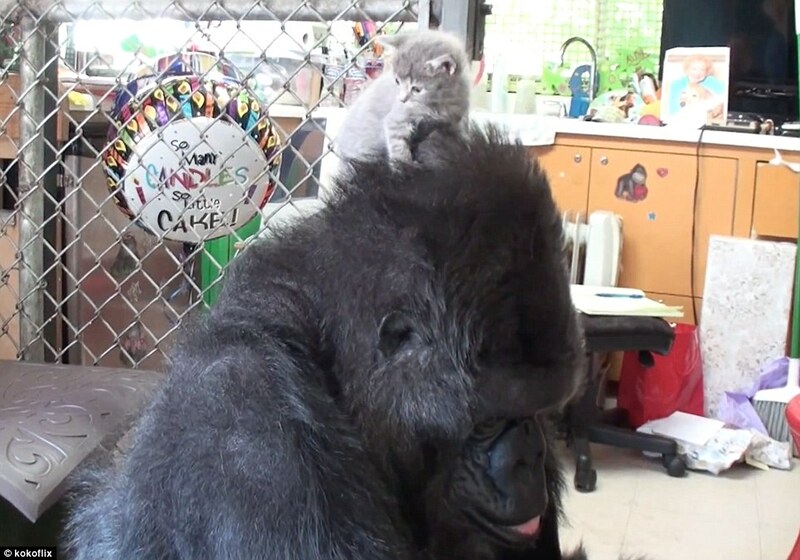 Koko the gorilla, who is famous for her ability to use sign language, was recently gifted two tiny cats in celebration of her 44th birthday. She has now dubbed the cats her “babies,” telling her trainers the kittens are now her adopted children. She also requested in sign language for one of the kittens to be placed on her head. 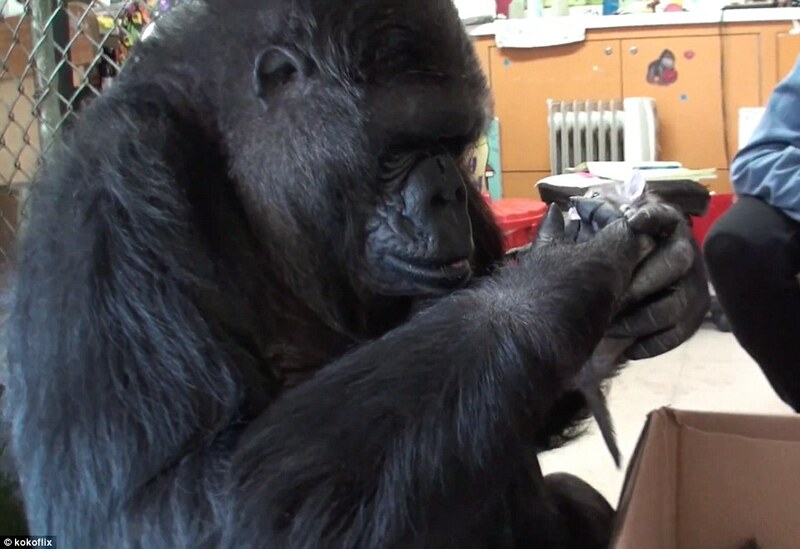 Despite a strong maternal instinct, Koko has not had the opportunity to have a baby of her own. Until now she has made do with gorilla dolls in her arms, even pretending that they can sign by moving their arms and hands. In the video, which was uploaded by her carers to her YouTube channel kokoflix, Koko is presented with a litter of kittens in a cardboard box. She takes her time in picking up the little balls of fluff, allowing them to get used to her, before going in for a snuggle. 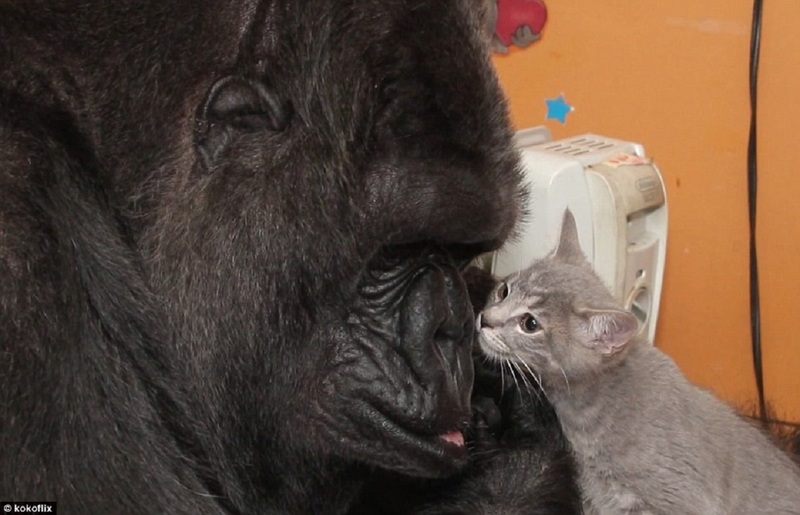 Despite her huge hands, in the video Koko is very gentle with the kittens, carefully stroking and cuddling them. It wasn’t long before the other kittens were trying to get out of their cardboard to be petted. Two of the kittens featured in the video are now living with Koko, and the baby cats are one step closer to her having a baby of her own.